We are a family-run company based in Fareham, carrying out a range of domestic and light commercial decorating work. Having been trading for over 21 years as D R L, we have gradually built up a strong foundation of satisfied customers, many of whom have heard about us simply by word of mouth. Our belief, is that our customers should be given the best possible service that includes not only work of the highest standards, but also tremendous value for money. We are members of the Checkatrade scheme, which enables new customers to view some of the positive feedback that we have received about our work, before deciding that they may wish to use us. As part of our commitment to offering a high quality service, we are also a member of the Dulux Select Decorator scheme, meaning that we can offer a two year guarantee for our domestic customers . 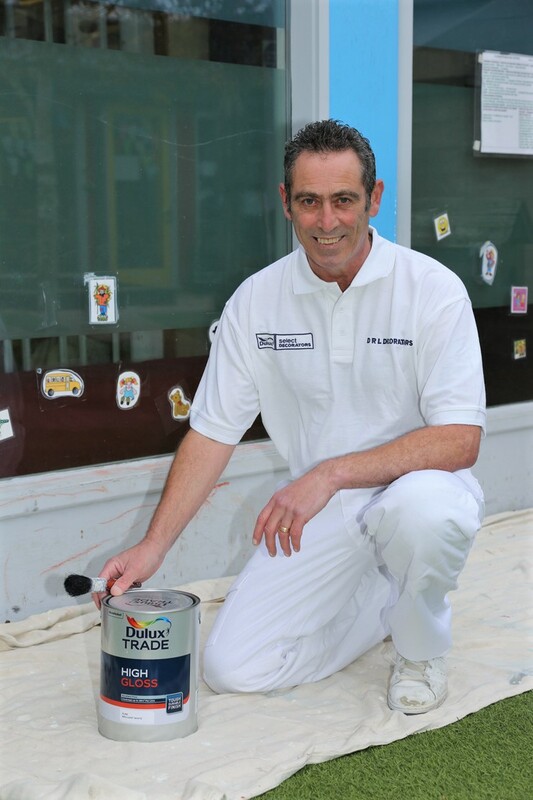 In May of 2015 we entered into a nationwide competition conducted by Dulux. We were fortunate enough to have placed first alongside five other decorators for our work on the courtyard of the Rowner Family Centre in Gosport. The images above display before and after shots of the Rowner Family Centre. © 2013-2019 D R L Decorating Contractors. All Rights Reserved.